Sign showing new charges - after a two hour free period - at the Bell Walk car park, Uckfield. 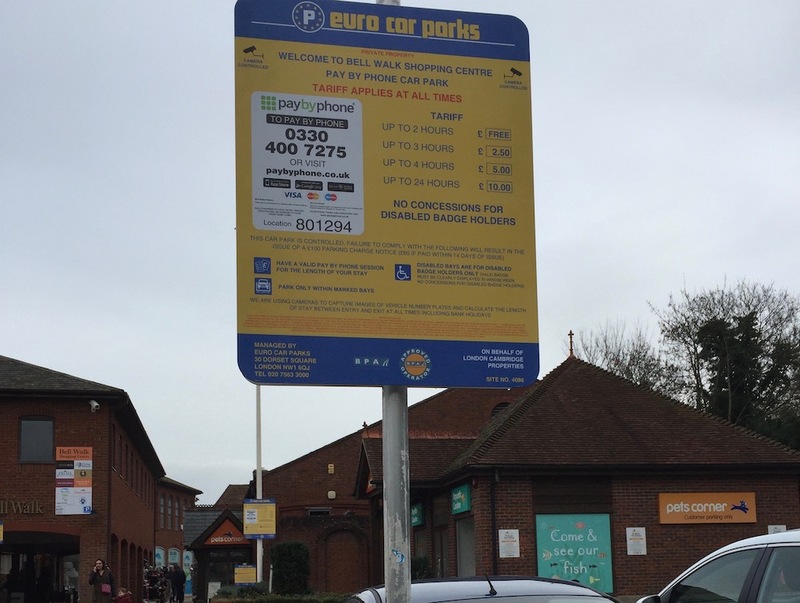 Parking charges have been introduced by private owners of the Bell Walk Car Park in Uckfield. The first two hours of parking there are free of charge but after that it costs £2.50 for up to three hours, £5 for up to four hours, and £10 for up to 24 hours. The car park is being monitored by cameras for the purpose of enforcement and being managed by Euro Car Parks on behalf of its owners, London Cambridge Properties. Signs say failure to comply with the parking terms and conditions will result in the issue of a £100 parking charge notice though this will reduce to £60 if paid within 14 days of issue. 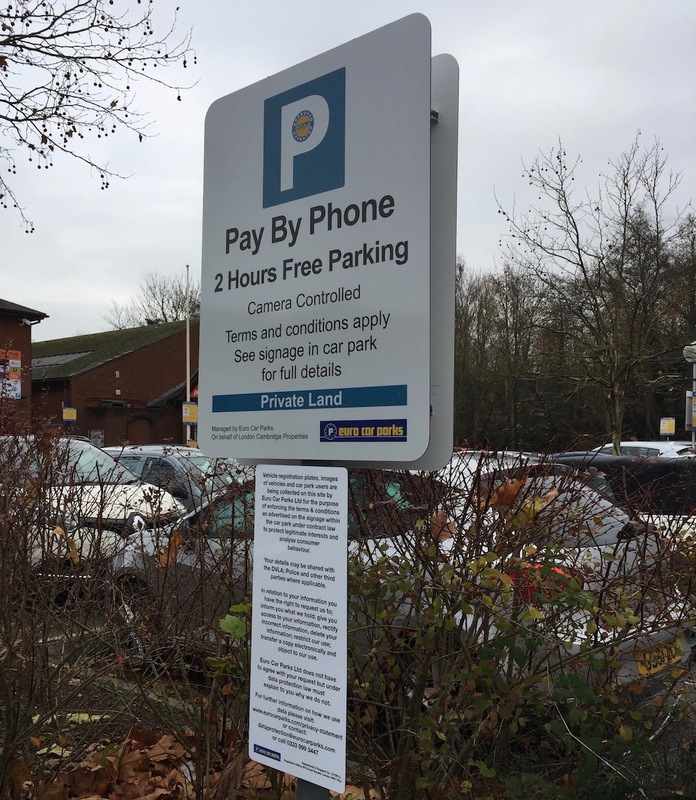 One of the new signs in Bell Walk car park showing it is now a Pay By Phone car park with charges following an initial two hours free parking.